As this is my first post, I wanted to introduce myself by way of the novels I read. I enjoy the classic authors, some less well known, as well as some more mainstream/pop culture authors. I hope our readers will enjoy these as much as I do. Feel free to discuss and add your own favorites in the comments! This is by far, one of my all time favorites. It was required reading in high school and I’m pretty sure I’ve reread it at least 3 times. A Boy’s Life is exactly what the title says it is: it’s the adventures of a young boy in a small town, his dreams, his mishaps, and his accidental solving of a mystery! I’ve read some other McCammon novels, but have not been impressed. In my opinion, this is his best work. Another required reading that I ended up falling in love with. 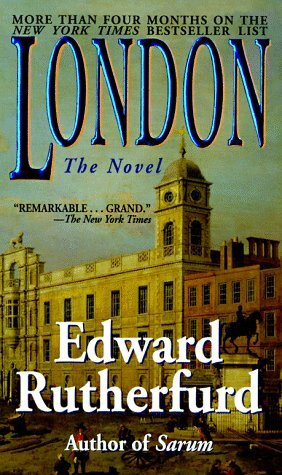 It’s a clever historical fiction novel depicting the basic history of London by following several families who are more connected than they realize. It’s the most exciting historical read you can have! I have not had the chance to read any of his other books, but if they are as good as this one, they’re worth reading. Dickens is probably my favorite author. His depiction of humanity is awe inspiring, terrifying, and humorous. Not enough can be said for his contribution to literature. Bleak House is one of his less popular works, which I will never understand. Esther is one of the most morally good characters in literary history, and her story, I think, is a wonderful example of of quiet saintly suffering and enduring patience. I was blessed to take a class on Austen at Ave Maria University. I enjoyed her before, but I enjoy her much more now. Northanger Abbey is a shorter novel that does not follow the typical ‘Austen formula’. I highly recommend it if you enjoy a bit of mystery and atypical romance. In general, I do not read a lot of horror. Most of Koontz’ works are dark and gruesome, which is not my cup of tea. However, the Odd Thomas books are on the lighter side of the horror genre, and I personally believe they deserve more attention. Odd Thomas is a twenty-something fry cook who can see dead people, and his adventures often have me laughing out loud. These books are also a testament to Koontz’ Catholic background and his extraordinary imagination. This is my favorite of O’Brien’s works, and according to the author himself, also his own favorite! As I so often tell anyone who will listen, there are only two authors who have made me cry: Tolkien and O’Brien. Island of the World is the story of Josip Lasta, a young boy thrown into the horrors of war torn former Yugoslavia. It is both a painful and beautiful read, and it is certainly not for the faint of heart. 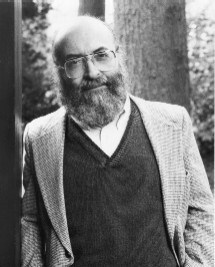 I love the Jewish culture and Jewish literature, and Chaim Potok has been one of my favorite authors for a good 15 years. His stories typically depict the struggles of Jewish Americans during the World War II era. Although our American Jewish brothers and sisters may not have suffered the same fate as their relatives in Europe, they still faced many challenges and changes to their culture. Potok does a beautiful job of bringing the Jewish tradition and culture to life through various lovable and relatable characters. The three works mentioned above are my favorites, but I recommend anything he has written. What are some of your favorite novels? Or are you looking for something new? Ignatius Press has published three new novels this season: The Rising, The Leaves Are Falling, and Tobit’s Dog. Some of the books I’ve recommended to people: Lucky Jim by Kingsley Amis, which is very, very funny if you’ve been around many medievalist / philosophy type academics; The Horse’s Mouth by Joyce Cary, a forgotten classic about a disreputable painter; the Gormenghast books by Meryvn Peake, (sort of fantasy meets Victorian misery); and anything by Gene Wolfe or Tim Powers. Oh–and I’m reading through the Odd Thomas books right now, which are a lot of fun, as you say. Great list, Meryl! I read “My Name is Asher Lev” three times in junior high/high school, then read most of Potok’s other novels. He was able to take me into a world I’d never be able to be a part of; those are wonderful novels. I need to read the “Odd Thomas” books; I bought the first one a while back, but haven’t gotten to it.